The Village of St. Jacobs is one of those small towns steeped in history and set in a charming location along the Conestoga River in Ontario, Canada. Located in the Waterloo Region - 75 minutes west of Toronto and within an hour and a half of Niagara Falls - St. Jacobs, Ontario is renowned for Canada’s largest year-round Farmers Market and its enchanting village setting. Home to a population of approximately 4,000 Old Order Mennonites who farm the surrounding countryside, this small community has cultivated itself as a destination for original arts and crafts, antiques, home decor, and bespoke retailers. Of particular merit to houseporn.ca is the Timber Barn showroom and retail store in downtown St. Jacobs. 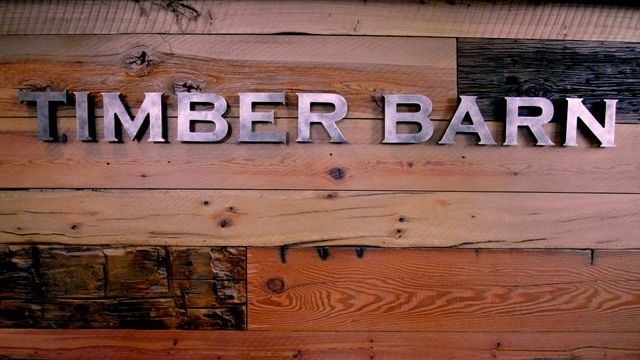 The Timber Barn is a Canadian company providing unique calibre wood pieces. 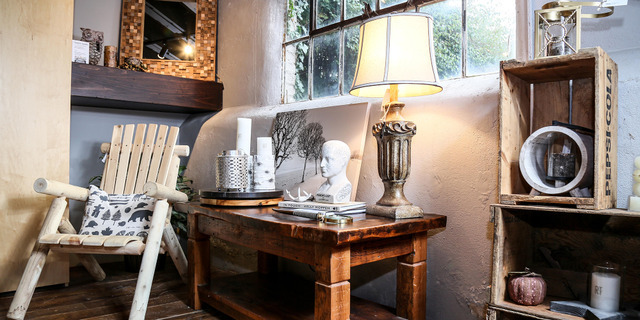 Whether you're seeking furnishings (harvest table!) 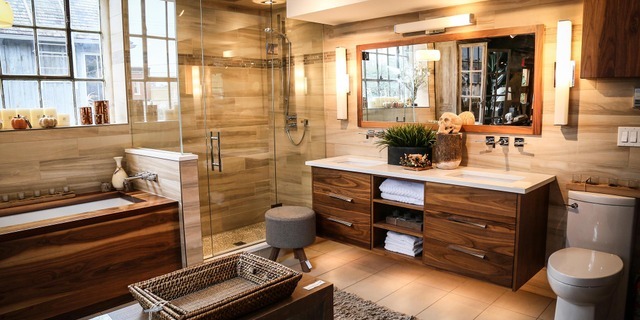 made from reclaimed timber - or a custom kitchen or bath - or a sliding barn door, this firm offers free in-house consultations with design experts happy to create your vision. I particularly appreciated how the showroom had dedicated flooring and hardware sections which complement the aesthetic of their product. Given they partner with local Mennonites and Amish businesses to supply quality timber and community craftsmen, this firm serves up authentic in a visually-arresting way. My value-pick? 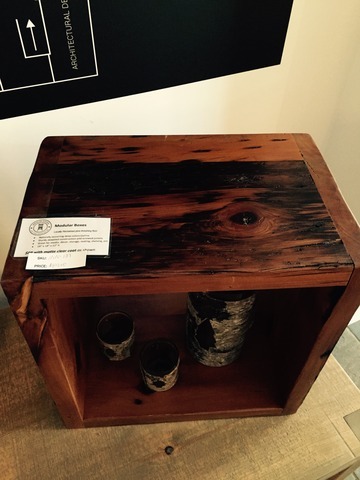 This 12"x18"x18" cube created from reclaimed barn wood for less than $100! 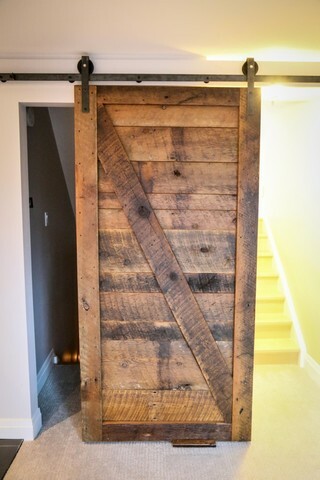 The Timber Barn craft their pieces from reclaimed and rustic lumber from southern Ontario farms. 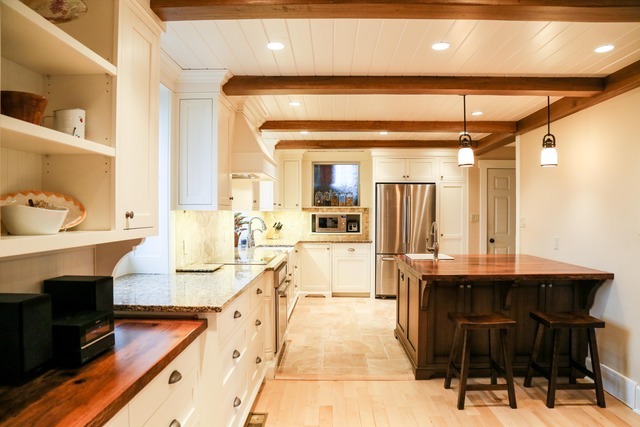 When a barn is torn down or refurbished they take the historic timber and craft it into beautiful, solid pieces. Not only visually arresting, but this process is also environmentally responsible. Here's a sample of their deliciousness as seen on their website! For those seeking to elevate their living environments, this is a great resource to consider.